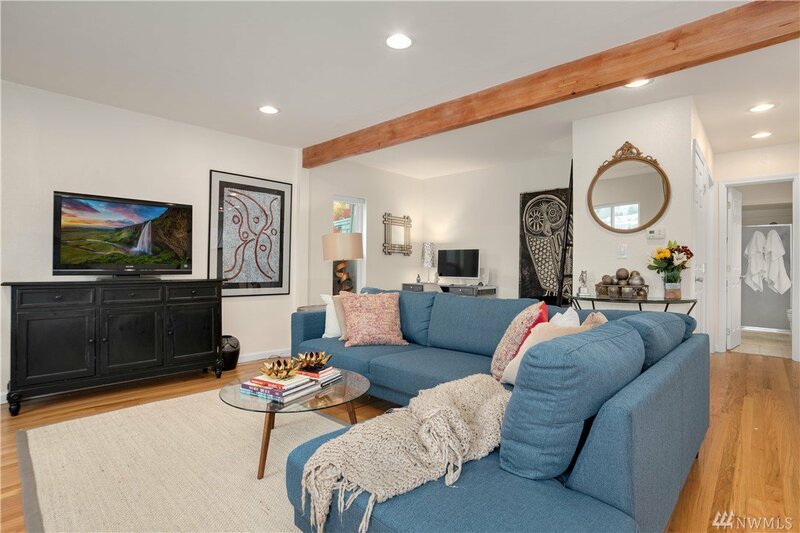 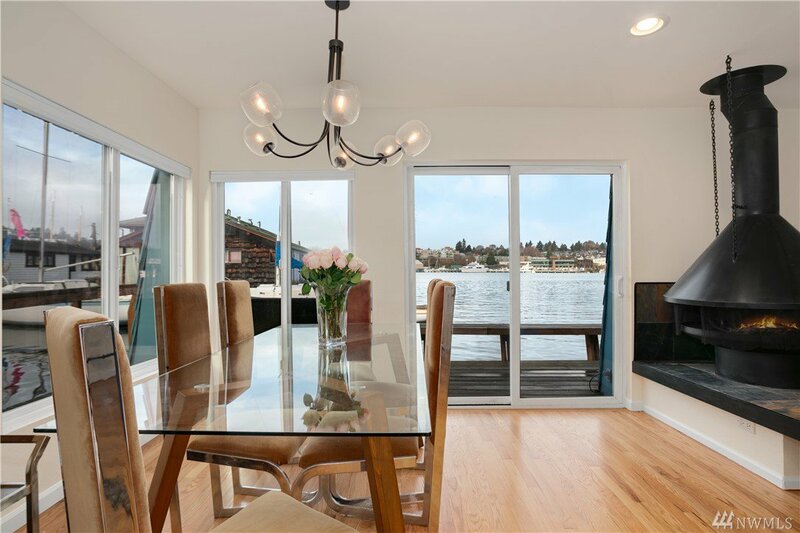 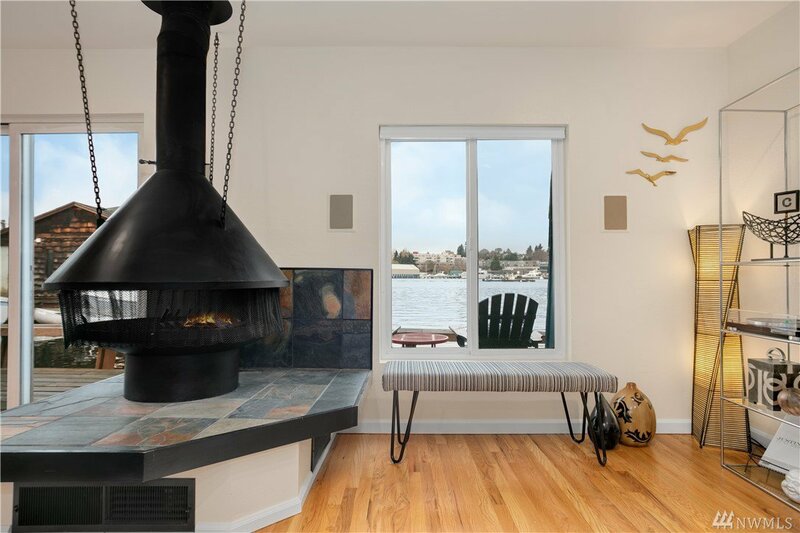 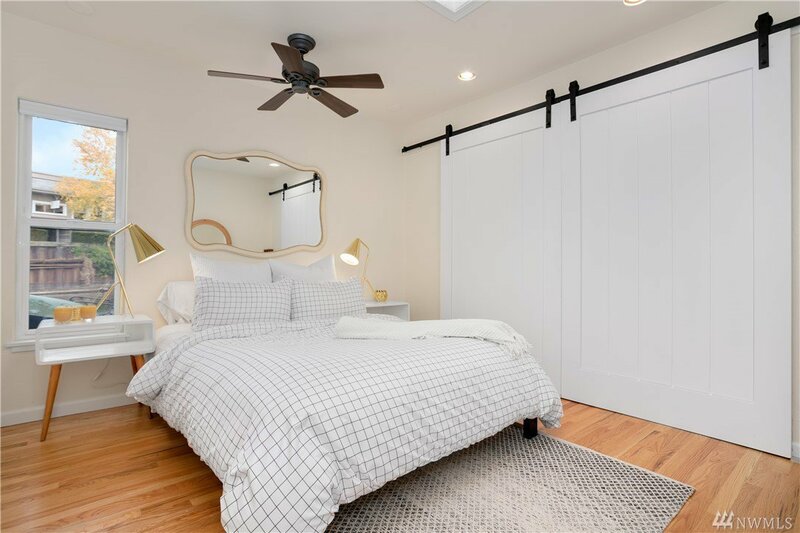 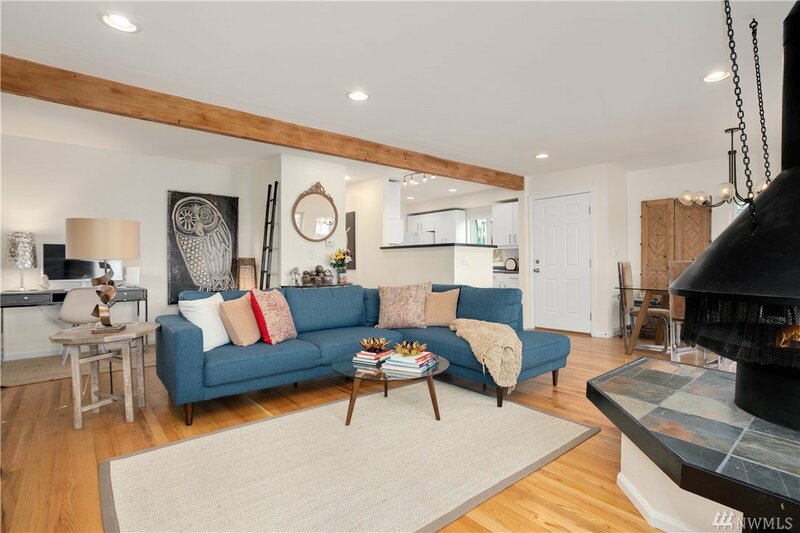 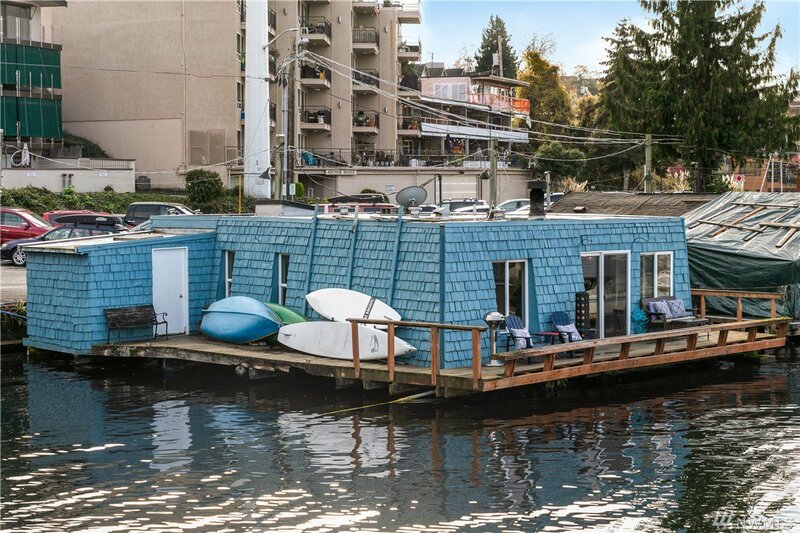 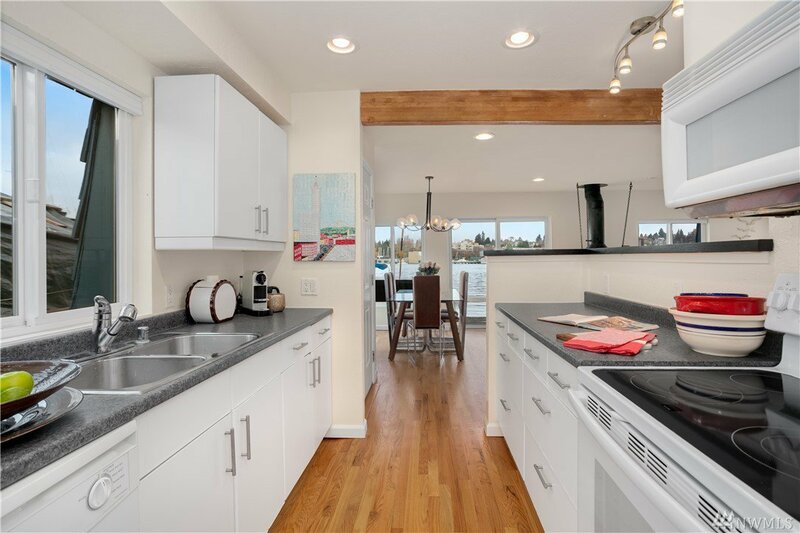 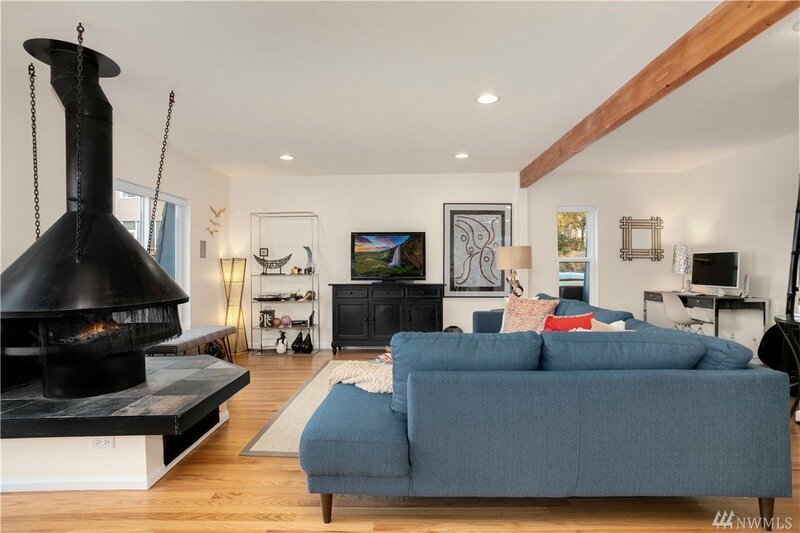 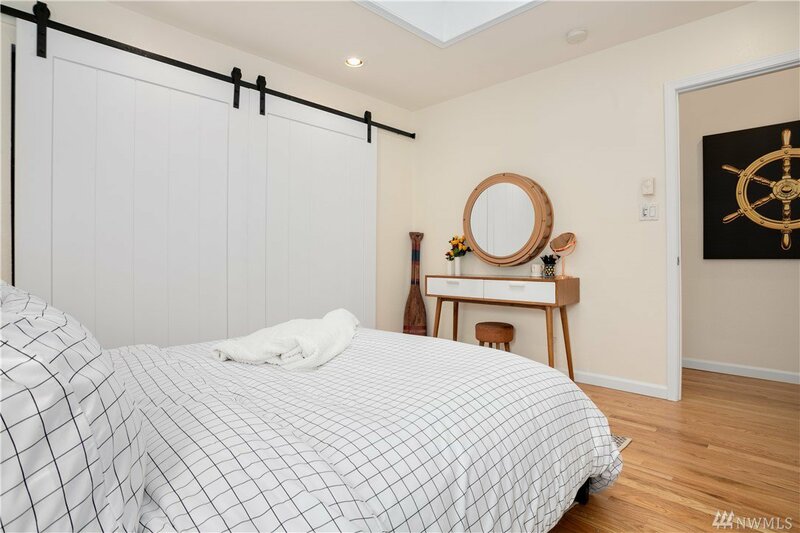 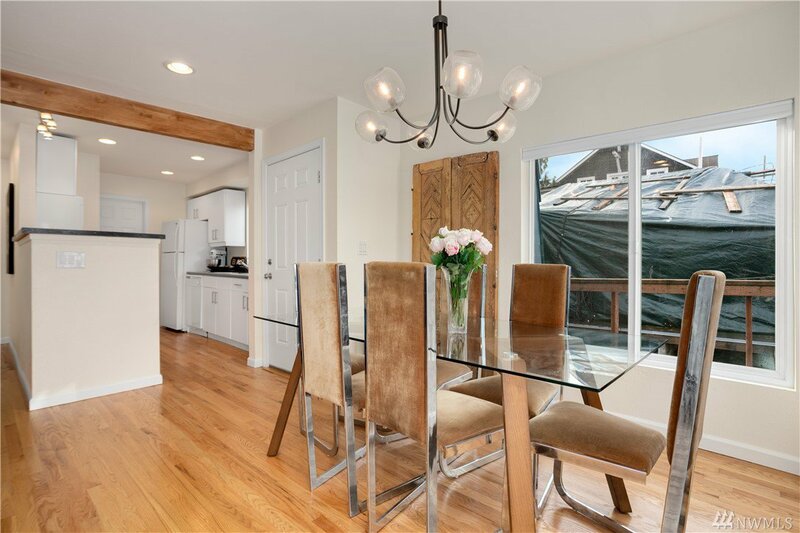 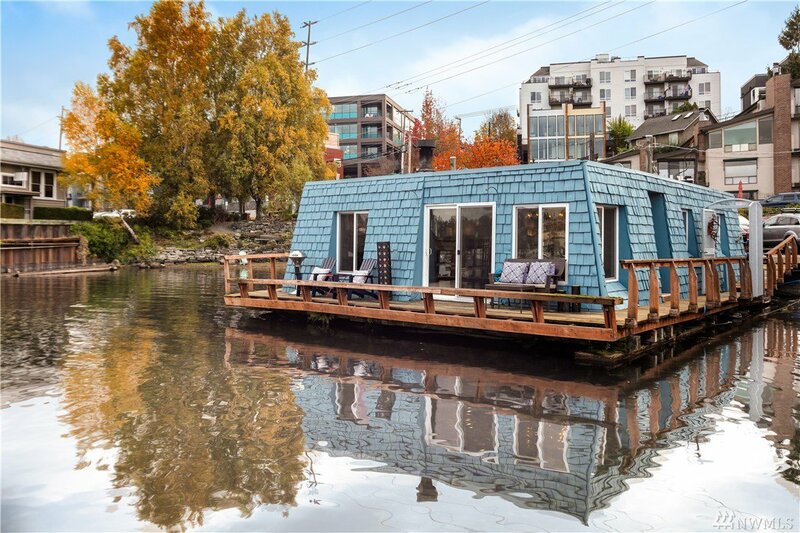 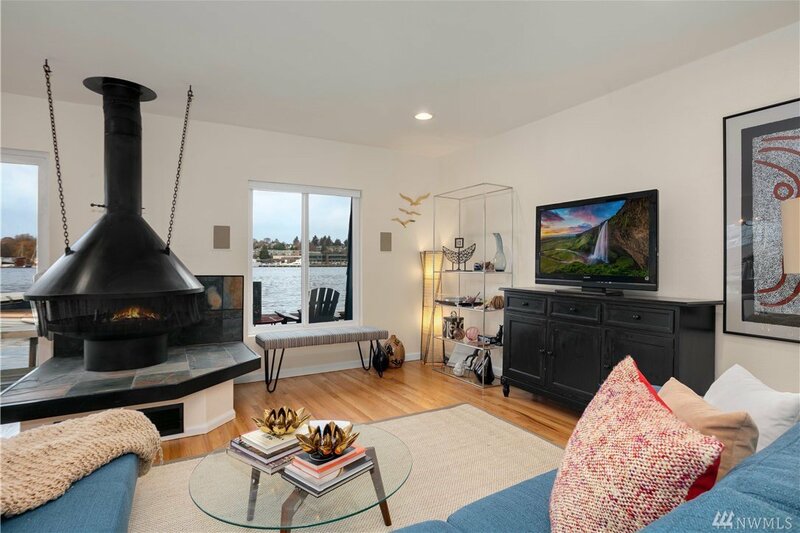 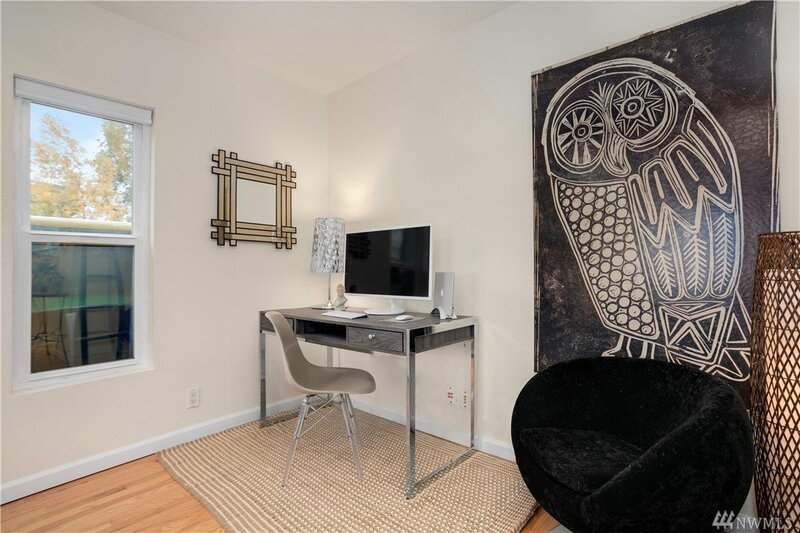 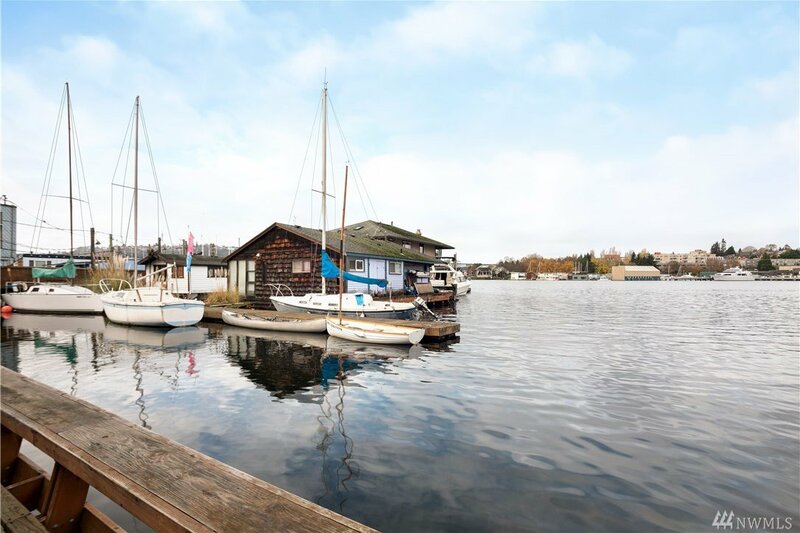 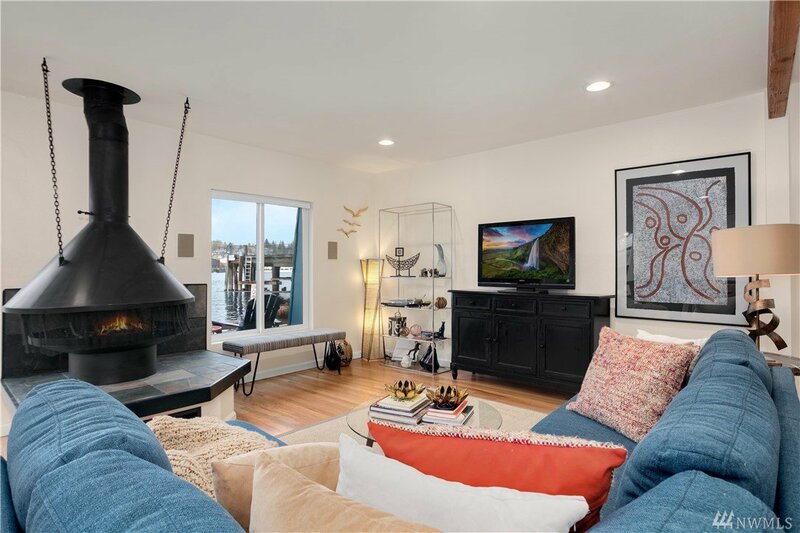 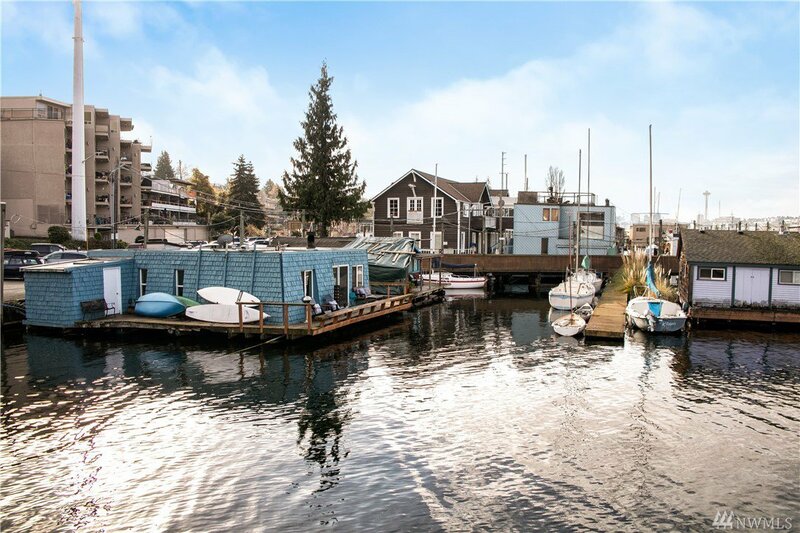 Floating on Lake Union, this blue jewel box in Eastlake is one of Seattle's coolest pads: where the Pac NW lifestyle stylishly combines w/retro cool & industrial chic. 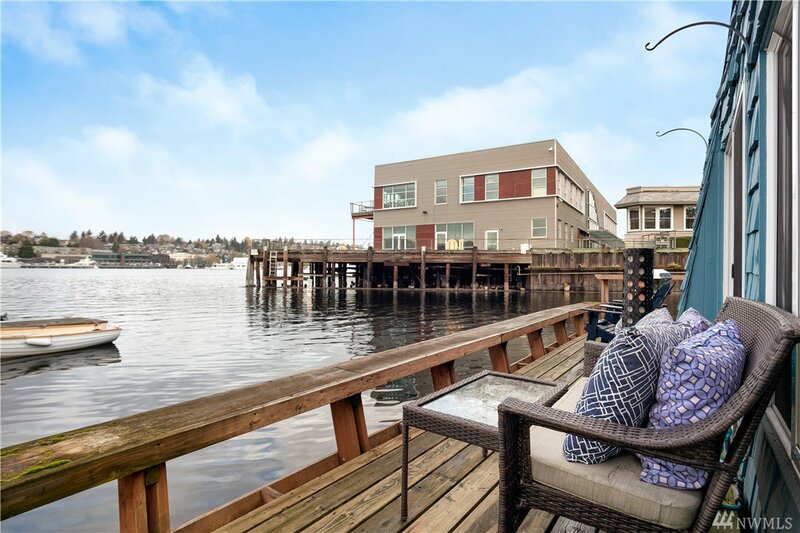 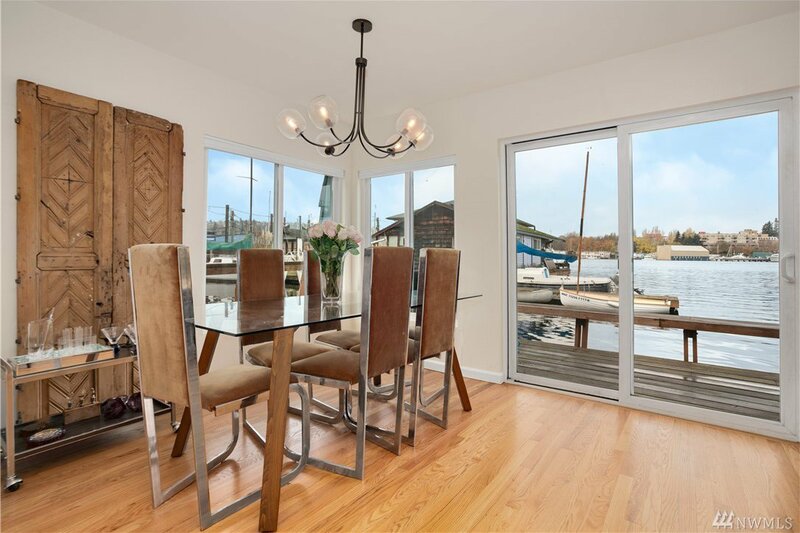 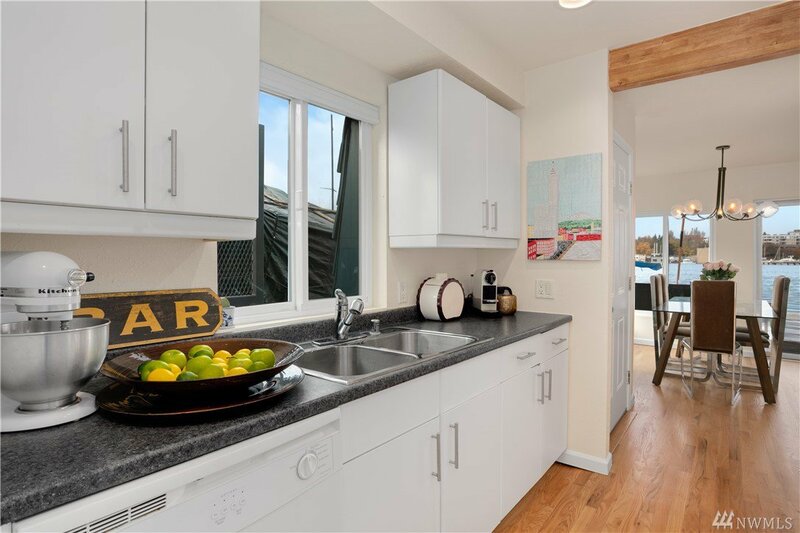 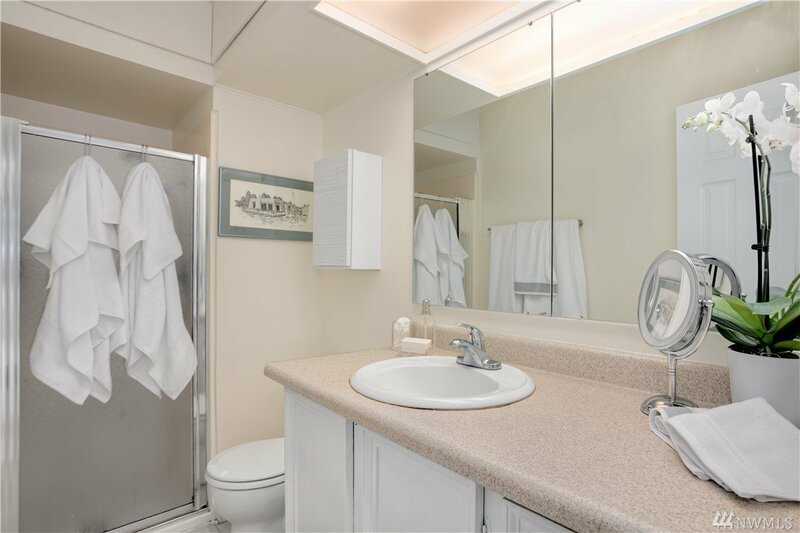 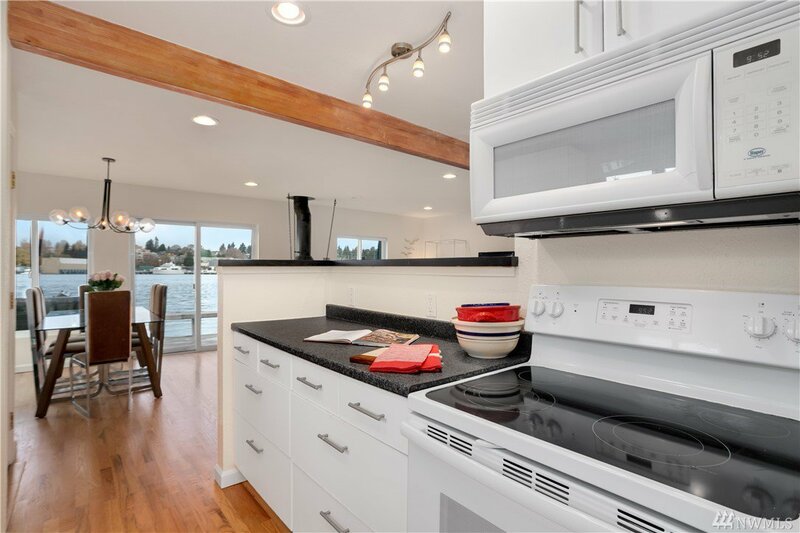 Your own gated, private dock leads down to a huge wrap around deck, offering the most envious Seattle setting. 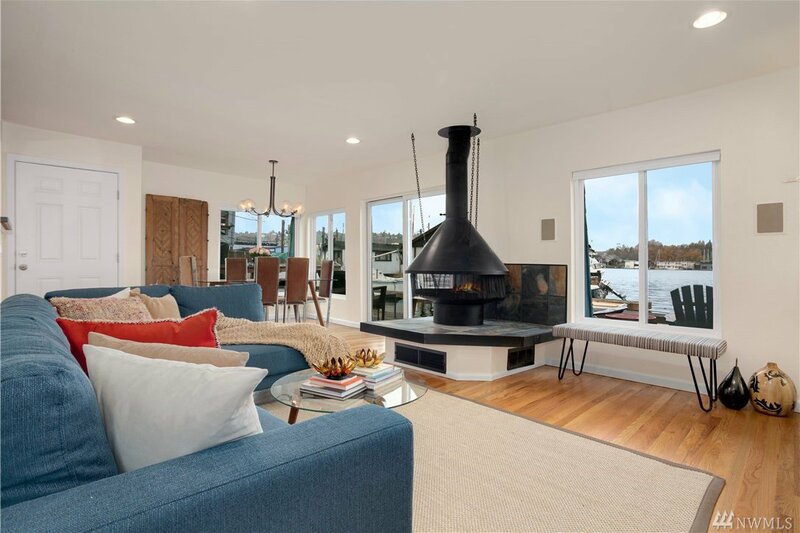 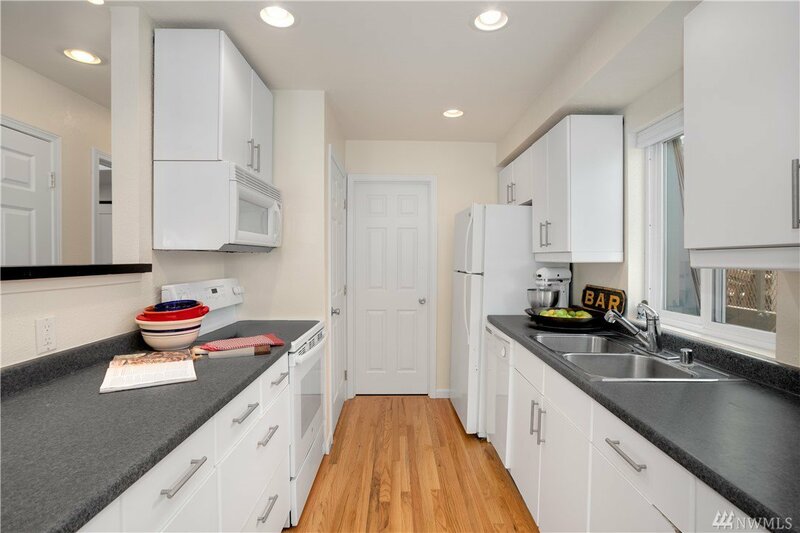 Walls of windows & open floor plan allow the party to seamlessly flow from inside to out. 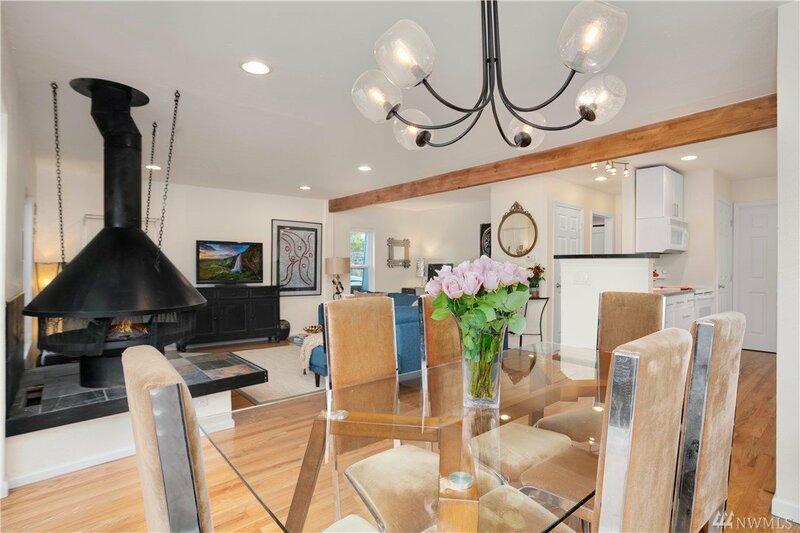 A dramatic fireplace, exposed wood beam, barn doors & beautiful hardwoods add the whimsy to complete the ultimate in-city set-up.